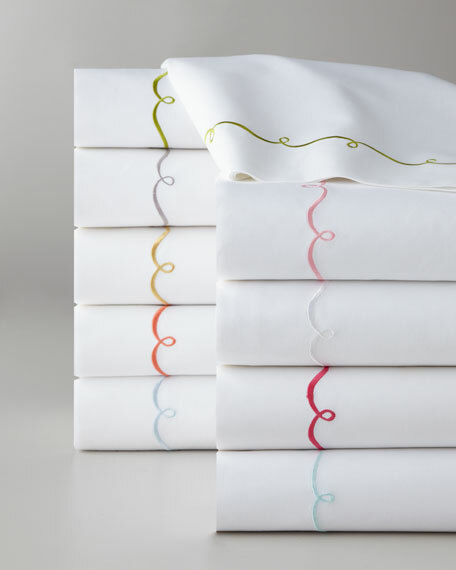 Duvet cover with the feel of silk charmeuse. 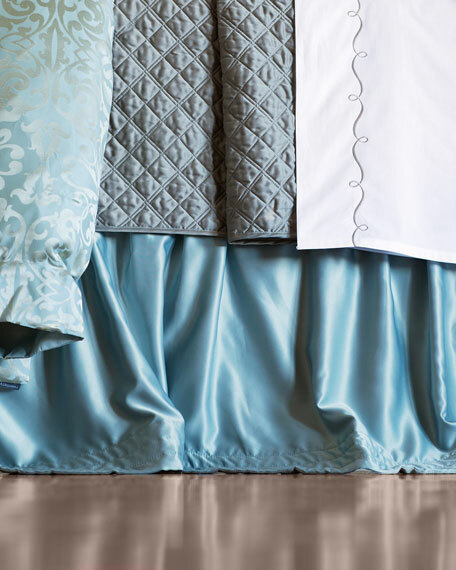 Made of tencel and silk. 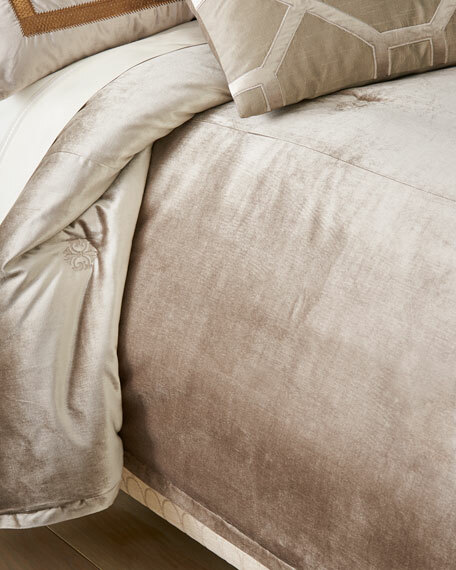 Sham with the feel of silk charmeuse. 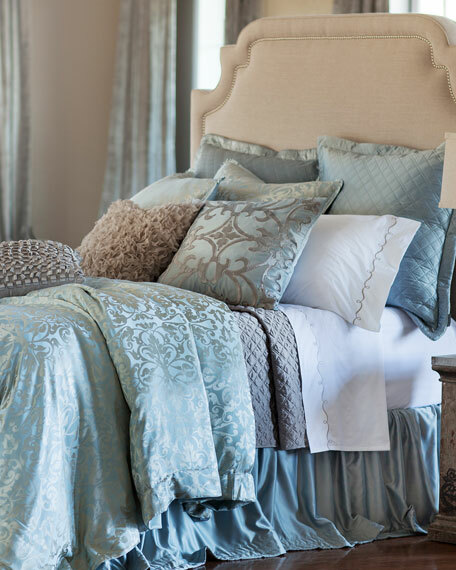 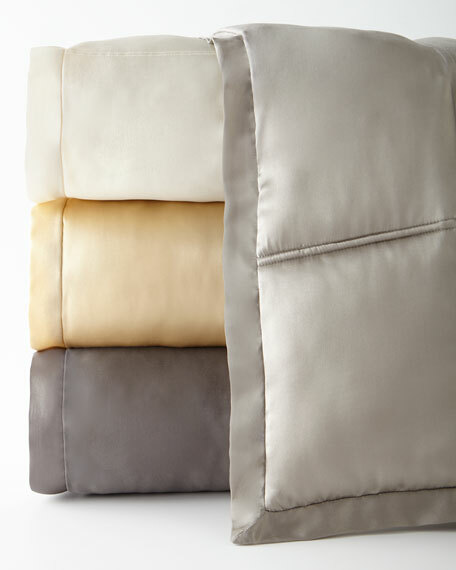 Reversible European pillow with the feel of silk charmeuse. 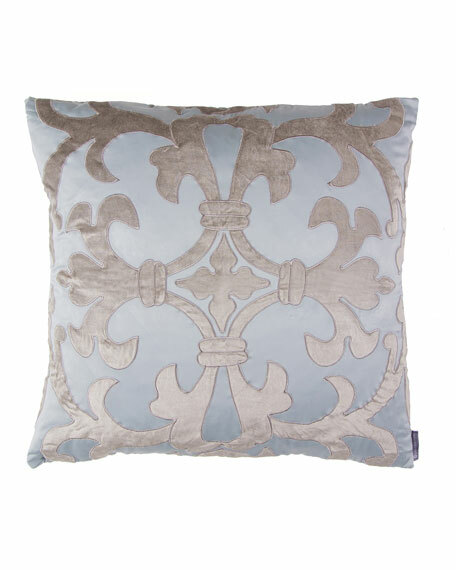 Lili Alessandra Blue/Silver Olivia Applique Pillow, 22"Sq. 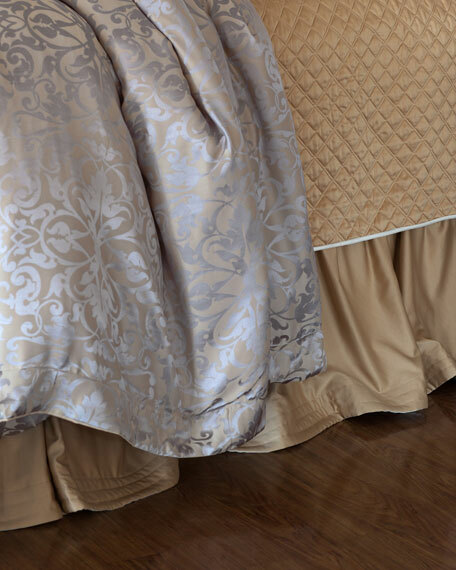 Three-panel, gathered dust skirt with the feel of silk charmeuse. 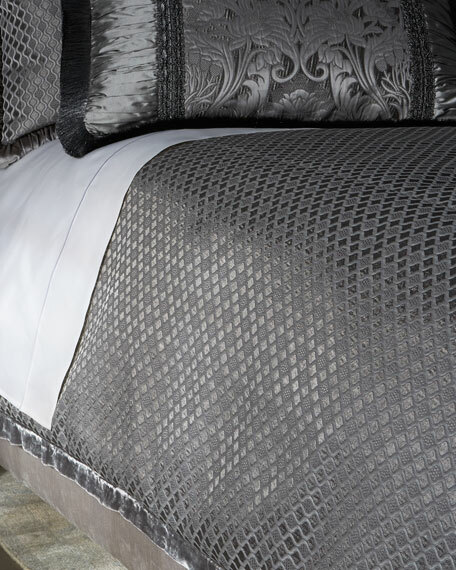 Fits queen- and king-size beds. 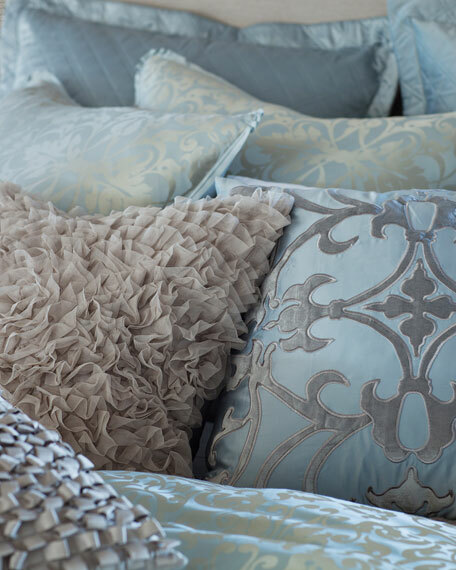 Reversible European pillow with the feel of silk charmeuse.Made of polyester.Machine wash.Zipper closure; feather/down insert.32"Sq.Imported.